When Jeff Scheer won the 2015 Aipono "Chef of the Year," everyone wanted to know more about the man behind the apron. Our executive chef at The Mill House Restaurant sat down with us to share a few of his trade secrets. Q: When did you start working here? A: I started in May. I actually didn't know I was coming down here until right before. There was about a two-week negotiation and Maui Tropical Plantation ended up buying Maui Executive Catering and moving it down here and I was contracted as the executive chef. Q: I understand that you used to be the executive chef that catered the Haiku Mill. A: Yes, a long time ago! A: It was good; a lot of work. It was really demanding. We had several votive accounts in the beginning, which was how we afforded the commercial kitchen. And that was how we built out our commercial kitchen space in Haiku. 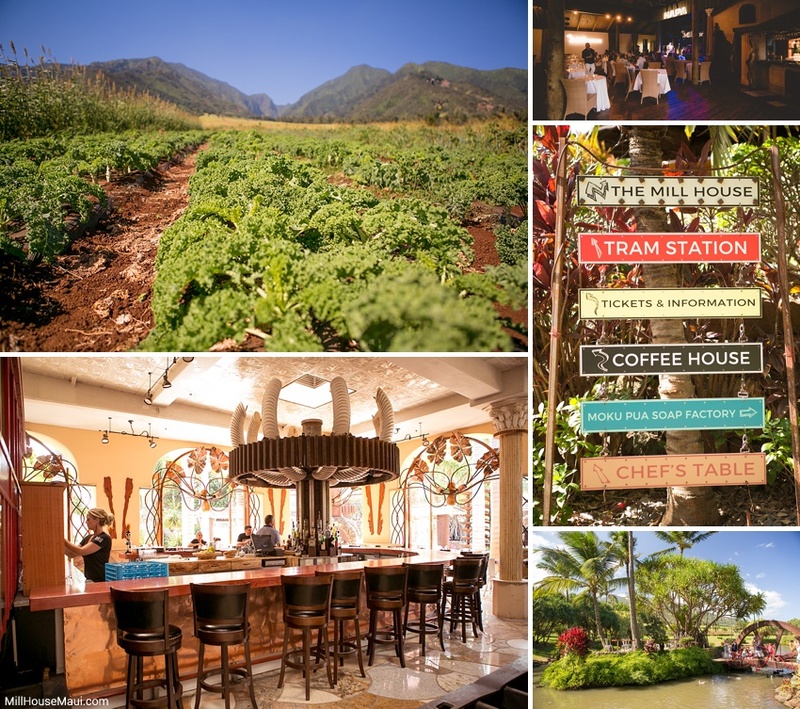 Q: What was the impetus for starting the Maui Chef's Table? A: Just to be creative. I did a couple of gigs in San Francisco several years back. One thing I noticed was a lot of people doing little chef's tables inside their kitchen during service. I thought, "how cool" since we didn't do service each night, we could offer a more intimate and unique experience. Bringing them into our kitchen was very inviting. 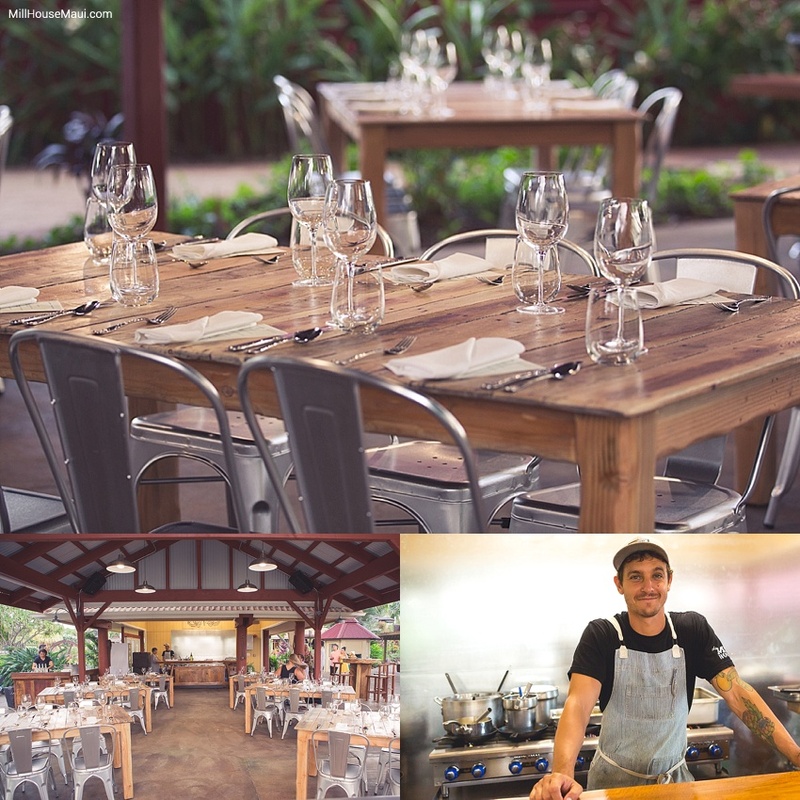 With a few tweaks and a couple of changes, we were able to create a really unique dining experience and I think that's how Maui Tropical Plantation discovered me. Those chef's tables really took off and that was where I met the general manager, Francesco, and the owners of the Maui Tropical Plantation. Q: Where do you see this going now? A: Now we're doing the chef's table here. They've built out a beautiful facility here, mimicking what we did in Haiku. In a lot of ways, it's even better! It's bigger, more spread out, its outside. We have the 16 acre Kumu farms behind us. The Mill House Restaurant is busy behind us, so when people come in, they see a lot going on. The whole atmosphere is more inviting, more like a party. Q: How do you describe yourself as a chef? A: One thing is that if I don't know where something came from, I don't really like to use it. That's kind of our motto in this kitchen, that we like to try to make and use every part of something. Our menus aren't created and then we look for those items. Our menus are created off the items and the produce and the meats that we get locally. The menus are constantly changing. In the Mill House, we use the whole animal. We don't use anything that's been pre-vacuum sealed in bags. We have several farmers that raise the animals for our restaurant. We butcher everything in-house and we have to get really creative using the whole animal. I break all the meats down myself right now. Q: Wow! How did you learn how to butcher and break down the meat? A: A lot of practice. I did hire a butcher from Oahu, and he was with me for a little over a year. He fine tuned everything for us. Q: That brings me to my next question. It seems like the Maui chef's are so collaborative instead of competitive. How do you explain that? A: We're all really good friends here on Maui. We support each other. That's what makes Maui special and that's what makes everyone better. We're always trying to keep up with each other. It's a little competitive, but that also brings a lot of comradery. Q: Is that normal in the chef community? A: No, I don't think that's normal anywhere! But then again, we're not a normal group. Q: Is the closeness because of the island? A: That's a good question. I think we just all get along really well, and we all have something in common, which is that we're all trying to make Maui special. Ten, fifteen year ago, there were very few chefs trying to do anything different and unique. And now there is this younger generation. We're all a year or two apart from each other, and we've watched each other grow up. In the last five years or so, we've all obtained different titles, branched out and gone in different directions. But we all carry the same genuine mission statement. We're all trying to use local food and not ship anything in, making everything from scratch. We're all trying to create a unique experience, not just for the people who live here but also for the people visiting the island. A: I think success is being responsible for doing something you believe in. That is what makes this place so special. This is the beginning stages of something that will be very successful. We all know it. Everyone involved knows and understands this. There are very few places like this on the planet. We're surrounded by the most beautiful farm, the most beautiful setting. The Mill House Restaurant is currently under construction, but should be done by the end of the year. I'm actually spending as much time working with the construction company as I am with my cooks to help develop something that is really, really special. We're looking to create something unlike any dining experience out there. Q: So, Aipono awarded you Chef of the Year. How was that? A: That was fun. I didn't expect that. It was crazy. 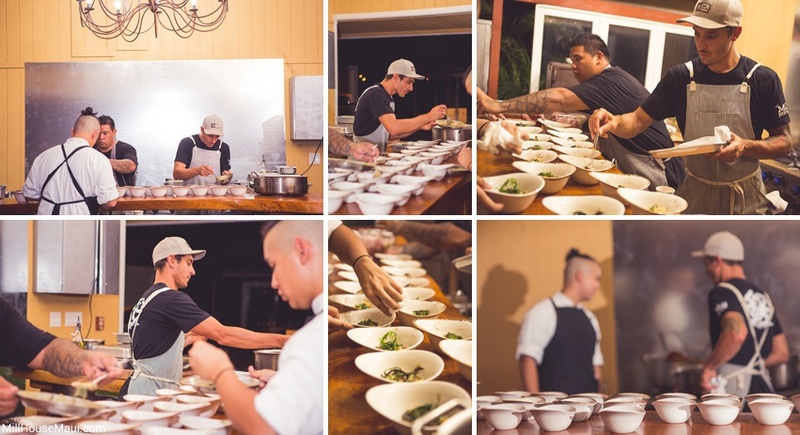 There are so many good chefs on Maui. I was definitely overwhelmed by it. Q: What's your favorite piece of kitchen equipment? A: I would have to say it's the pressure cooker. It cooks things so much faster. I've actually got the pressure cooker rocking right now. It cuts my work time down. We actually have a lot of toys back there. The bandsaw is another favorite. A: It depends on the season. We're heading into winter, so we're going to see a lot of citrus. Kumu Farms is growing the most unbelievable certified organic corn right now. I've been using cases of it every week. I can't believe how sweet it is! Coming from Ohio, I know my corn. Q: Speaking of that, how does a guy from Ohio progress to what you're doing now? A: That's a good question. I don't know. I've been here for 13 years. I love food. I've worked for the food industry for…well, it's actually the only job I've ever had. Maui was going to be short-term, but it just lasted longer and longer. And now this is my home. I've been here the majority of my adult life. Q: How do you describe your cuisine? A: I would say, "rustic refined." We don't do anything special. We're very creative, but we're simple. I've seen a lot of changes in my cooking over the years, but right now, we're keeping things really simple. We stick with the main points and make sure our flavors are on point and our textures are on point. We make sure it's fresh and then we put it on the plate, but we try to make these simple dishes look refined. Maybe its put in a big bowl, or set up nicely. Q: How do you decide what textures go with what flavors? A: I look at everything. It needs to have enough acid. It needs to have enough fat. And it needs to have crispy and soft. Those are the four main elements for every single dish. That's the first thing we ask ourselves, "Does it have enough seasoning? Are the textures there? Is there enough acid to cut through the fat?" If you can obtain those, you'll have a successful dish. A: The other chefs on the island. I think those guys have been more than influential for me. Especially doing events with each other. We all try bringing something new to the table, so that has been a big influence. My instructor from the Maui Culinary Academy, who became a very good friend, is another big influence. He's one of the most respected chefs in the industry right now. Q: How much time do you get to sleep? It sounds like you're doing so much! This job is a huge endeavor. A: Not that much sleep at all. I'm here until 10:00 or 11:00pm. And then I bounce back here in the morning. It depends, but I'm here the majority of the time. I take about one day off a week. This is my life right now. When I'm sleeping, I feel like I'm missing out on something. Q: What do you like to do on your one day off? A: I like to eat. I play volleyball and kite surf on Sundays. I try to spend as much time as possible outside since I know I'll spend the next six days inside. A: I do. I cook very simple at home. Q: When you go out, where do you like to go? A: I follow my chef friends, so my two favorite restaurants are Migrant and Ka'ana Kitchen. But there are a lot of chefs that are doing cool things right now. If I'm on the Westside, I like to go to Sangrita. Q: Do you have any pet peeves in the kitchen? A: So many. Being unorganized is the biggest one. That drives me absolutely insane. Cleanliness is important to me, which as been hard with all the construction going on in the restaurant. Q: What are your three strongest qualities in the kitchen? A: Organization. And I handle stress pretty well. I've been in so many stressful situations that I can now say, "whatever is going to happen, is going to happen." There's nothing you can do about it, so you might as well not over-stress about anything. With my teaching background, I think that set me up for success in teaching in this kitchen. I'm really organized in how we prep things out here. I write every single thing out for recipes, with each one in grams and written in my words and the way I want things done. I actually have all the recipes in an app and if someone asks me to show them how to make something, I'm able to point them to that app, where all the information they need is there. Q: Is there a cookbook in your future? A: I'd love to say so! Absolutely! I'd love to do a cookbook. Q: All of your dishes are so artistic! Is that learned or is that innate? A: Definitely learned over time. However, plating isn't something you can teach. There are things I put down and I think, "Wow, that probably tastes great, but it looks like crap." Over time, you figure out what works well and you definitely develop your own style. My plate is going to look different from anyone else's plate. I use a lot of broths, soups, purees. I try to fit as much moisture in the dishes as possible. Especially for something like the chefs table, where you're outside, fighting wind, heat, cold air. We look for a few things to make that experience easier. Adding a hot broth to a dish at the last-minute adds that moisture and flavor. Q: You prepare a lot of dishes that have different sauces and flavors that balance everything out, whereas eating one alone is too much. Did you learn or develop that? A: I develop it as I go. For example, I have a brined fish dish that is poached in olive oil. The brine gets the seasoning into the fish, and to balance out the salt, I pair it with a vegetable stock and tapioca pearls. Q: So, no bread at the Chef's Table? A: We should do bread! We make a beautiful artisan bread here and our pastry chef is doing some very cool things. We mill our own grains. The thing is I don't want to overfill people here. I've watched people get way too full to the point of being uncomfortable. I'd prefer them to walk away perfectly full. Maybe they could eat a little more, but they haven't eaten too much. You have some with small appetites and others are starving and we try to find that sweet spot. If anyone is hungry at the end, and I will happily feed them all day long! Q: Some chefs say that the food is only 30% of the experience. Do you agree? A: I do agree. Why do you go out to eat? Is it primarily for the food, or also for the company and the surroundings? You could have the best food in the world, but if the surroundings and atmosphere isn't there, then you'll walk away unfulfilled. When I go out to eat, I'm looking to have the best time possible, because that's what eating out is. It's supposed to be fun! That's what we're trying to do here is create a relaxed atmosphere. One of the things we have going for us here is that we have a lot of space and we're putting very few tables in the amount of space we have. We could fit up to 1,000 people here once the restaurant is done, but we're only going to be seating 180-200 people so the guests feel like they have their own space to enjoy their dinner. There will be a fireplace outside for wintertime. We're also coming up with a great happy hour, and once the restaurant opens, the happy hour menu will become the permanent bar menu, with reasonable prices and a variety of tapas style plates. Lets get real, no one orders their own entrée anymore. That is the lost way of dining, in my opinion, because it's supposed to be about the experience you're having with other people. That's the trend you see in all the restaurants now. Q: As the chef, what do you want people to feel after they have one of your meals? A: I want them to feel completely satisfied. I want them to feel like they've eaten really quality ingredients and I want them to have a good time here. That's how we're going to put this place on the map. And I want it to be laid back, especially for the people on vacation. A: I really don't know. Anything could happen. My life has changed so drastically every year, and it's unrecognizable from the year before. I would like to say 5 years from now, I will still be in this spot and this location will be in a completely different level and the cuisine will constantly change and get even more creative. I love this place! It opening my eyes and its making me a better chef. I don't really see anything out there that could provide a better experience. 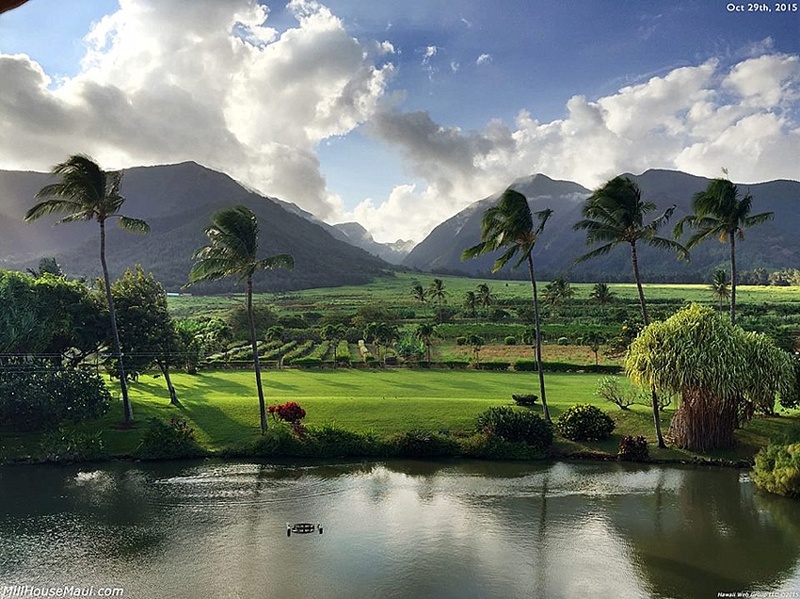 We're in a really unique location and Kumu farms is the most amazing partner to have. You can't get any more fresh than having it in your backyard! We have the Chefs Table going on, the bar, the restaurant, we have catering events, we have a concert hall. I don't know what else is better than that! I think I'll still be sitting at the same table in 5 years, being interviewed again. Thank you Chef Jeff Scheer for taking time out of your crazy schedule to share the secrets to your success! If you'd like to experience a dinner at the Maui Chef's Table, make sure to reserve your seat early, as they sell out pretty quick! what do you think of maui's food scene? comment below!